One of the minor, but perhaps important themes that make up part of the Star Wars saga, is the part of romance. Episodes I-III focus on the forbidden romance between Anakin Skywalker and Senator of Naboo, Padme Amidala. 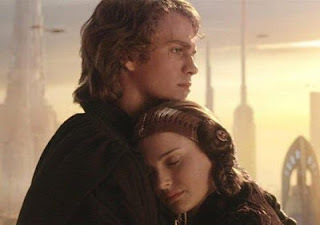 It's one of the most unfairly criticized parts of Star Wars, mostly done by some film critics and moronic hateboys, whom apparently don't understand that some people (including myself) connect themselves with the love of Anakin and Padme, more than with Han and Leia. I even remember a few years back, how the stupid Semana magazine of my home country talked in a section of their magazine about how Padme and Anakin had ''little chemistry'' in their relationship. What kind of idiots are these people? 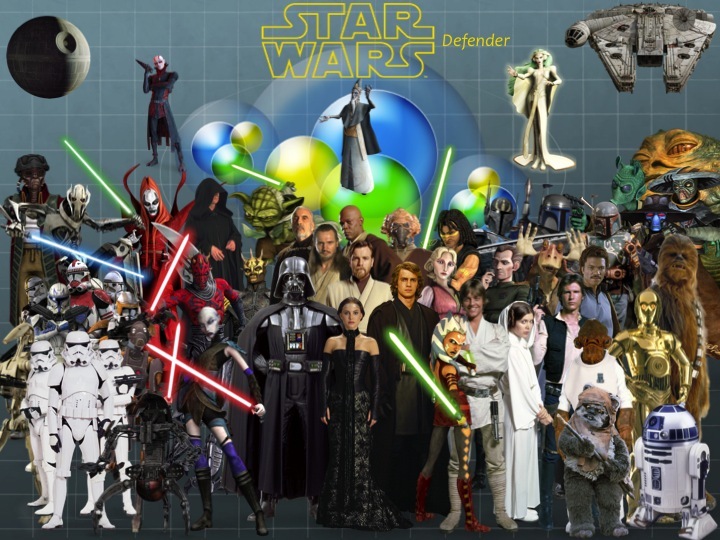 Their love is mostly used as the catalyst that will result in the transformation of Anakin Skywalker into Darth Vader. It ends up in tragedy as pretty much both characters end up dead and their love for each other is never allowed to flourish. By the time we get to Episodes IV-VI, the romance is seen mostly between Han Solo and Princess Leia, which I also like by the way, just not as much as Anakin and Padme. Theirs is meant to protray a love that eventually triumphs with the victory of the Rebel Alliance, on contrary to that of the previous generation. But, the question is, what kind of love will we see in the next generation? The obvious answer is that if we see love in the next set of Star Wars films, it will likely involve either the children of Han and Leia, or the children of Luke and someone else (possibly Mara Jade). However, all of that is pretty much anyone's guess. George at one point said that in his vision Luke didn't get married, so that might throw Mara Jade and that part of the EU out the window or into an alternative timeline. As far as Han and Leia are concerned, their children might have different names from the ones they have in the EU, and their fates will be undeniably different. So, besides the fact that the EU will likely soon be cleared out of the way like a bulldozer, we don't really know what romance will happen, or if it will even show up in Episode VII. They might hint it, though. We will have to wait and see, as I have said millions of times on this blog.